South Carolina is standing on the edge of a fix that just broke our neighbor. 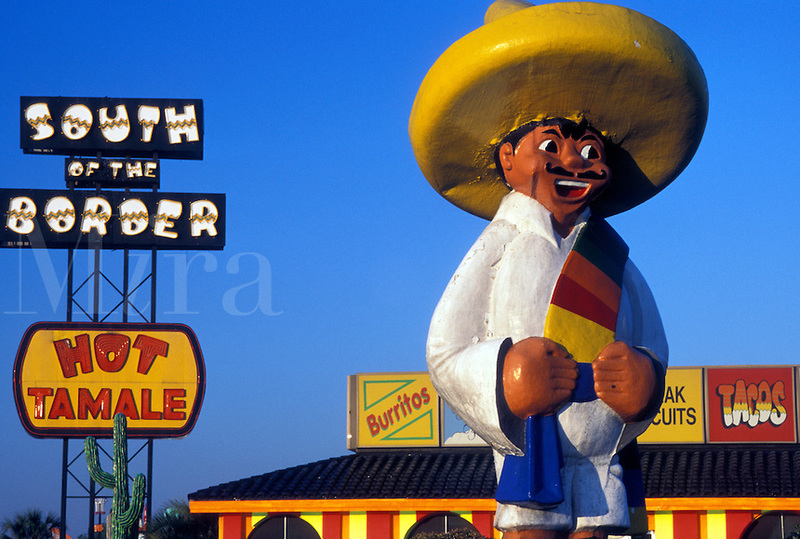 If you drive north on I-95 you better stop at that spectacular monument to road culture we call “South of the Border,” because Pedro is standing at a cliff’s edge. Down at the bottom are the broken-bones of North Carolina. And our neighbors weren’t pushed off that cliff. They didn’t even fall. They jumped. Half way down, Governor Pat McCrory had second thoughts and tried to call time-out. But that’s tough to do when you’re in a free fall. Now here in South Carolina, Senator Lee Bright wants do the same. He said his bill is designed to protect women from the harm that might come to them if a man shared their restrooms. If men were allowed in women’s bathrooms? Bright’s wife and Gardner’s grand-daughters have been crapping for years next to folks who were born “male.” Bright and Gardner don’t seem to realize that when they’re standing in front of the urinal, someone whose birth certificate says “female” is already in the stall next to them. That’s the status quo. Bill Nettles, who is the U. S. Attorney for South Carolina, insists that no one’s wife or grand-daughter has yet suffered a bathroom assault by a transgendered individual. In other words, bathrooms are so safe now that Lee Bright doesn’t even know what the status quo is. He’s too dim to realize that he’s not preventing change, he’s making change. What would happen if Bright and his crew met a “male” dressed as a woman in the bathroom? What will happen when this so-called “conservative” starts mucking around? It takes no crystal ball to picture the consequences when someone dressed like a woman, in compliance with the Bright Bill, goes into the men’s room to take a leak. God help him if a couple of Bright-minded folks are in there. So we’ve got a social practice that works perfectly fine now, and Lee Bright is proposing that we throw a monkey wrench in the gears. Why is it when Lee Bright speaks, the lights seem to dim? Wikipedia says that the Carter administration’s Bert Lance coined the phrase “If it ain’t broke . . . ” in 1977, which would associate the aphorism with liberalism–that is, if we can describe a banker, even one working for Jimmy Carter, as “liberal.” Even so, I’m really suspicious about giving Lance the credit. If he was first to use it in public, he must have learned it from my dad, who said it to me more than once before 1977. For the record, I’m not sure my dad and Bert Lance were ever in the same room.